Security researchers have discovered three vulnerabilities in the Spring Development Framework, one of which is a critical remote code execution flaw that could allow remote attackers to execute arbitrary code against applications built with it. 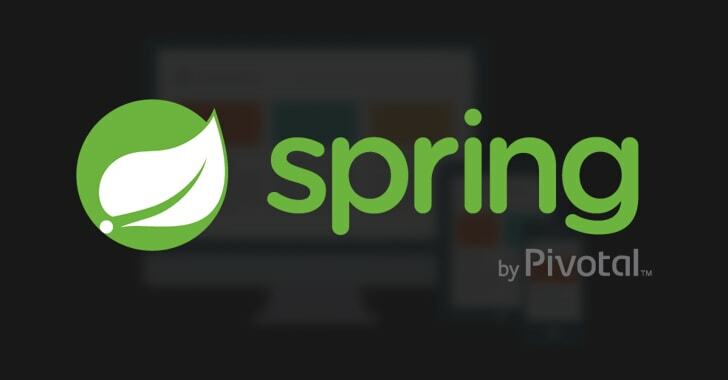 Spring Framework is a popular, lightweight and an open source framework for developing Java-based enterprise applications. Vulnerable Spring Framework versions expose STOMP clients over WebSocket endpoints with an in-memory STOMP broker through the 'spring-messaging' module, which could allow an attacker to send a maliciously crafted message to the broker, leading to a remote code execution attack (CVE-2018-1270). The second bug (CVE-2018-1271) resides in Spring's Web model-view-controller (MVC) that allows attackers to execute directory traversal attack and access restricted directories when configured to serve static resources (e.g., CSS, JS, images) from a file system on Windows. This vulnerability doesn't work if you are not using Windows to serve content and can be avoided if you don't serve files from the file system or use Tomcat/WildFly as the server. Pivotal has released Spring Framework 5.0.5 and 4.3.15, which include fixes for all the three vulnerabilities. The company has also released Spring Boot 2.0.1 and 1.5.11, that match the patched Spring Framework versions. So developers and administrators are highly recommended to upgrade their software to the latest versions immediately. Security researchers say they've identified at last 1,000 Magento sites that have been hacked by cybercriminals and infected with malicious scripts that steal payment card details or are used as staging points in the delivery of other malware. The Magento sites are being compromised through brute-force attacks using common and known default Magento credentials, brute-force attacks such as these are simplified when admins fail to change the credentials upon installation of the platform. Attackers, meanwhile, can build simple automated scripts loaded with known credentials to facilitate access of the panels. In today's cybercrime landscape where criminals have access to cheap brute-forcing botnets that they can use to guess site passwords with relatively little effort, site owners should make sure they use unique usernames and passwords that can't be guessed after a few attempts. Securing admin account passwords should be a top priority —next to applying security updates— for all site owners, not just those managing online stores. Under Armour has admitted that around 150 million MyFitnessPal user accounts were hacked in February of this year. MyFitnessPal is a popular fitness tracking app that has been around for a long time. It was founded in 2005 and enables users to monitor calorie intake and exercise. Under Armour acquired MyFitnessPal about three years ago for $475 million. The good news for those affected is that the only data that was exposed or potentially compromised was usernames, email addresses, and encrypted passwords. More sensitive—and potentially more harmful—data like Social Security numbers or driver’s license numbers are not collected by MyFitnessPal, and the bank and credit card details are collected and processed separately. Under Armour states that most of the passwords were encrypted with bcrypt—which is a relatively strong password hashing mechanism. However, some of the passwords were protected using a significantly weaker 160-bit hashing function, SHA-1. Organisations, don’t underestimate DMARC policy!